Furniture, tack, rows, buggies, implement, farm equipment and misc. ( Middlefield, OH ) by Townline Machinery Auct. Tractors, vehicles, and misc. ( Butler, PA ) by Roger Croll, Auct. 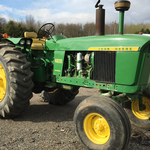 JD Tractors, AC tractors, skidloaders, farm equipment, vehicles, scrap, and misc. ( Cabot, PA ) by John Huey, Auct. 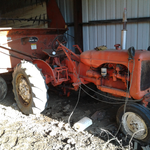 Farm dispersal, farm equipment, zero turn mower, tractors, and misc. ( Corsica, PA ) by Todd Beichner, Auct. Tractors, equipment, vehicles, lawn tractors, and misc. ( Adamsville, OH ) by Roger Kreis, Auct. Tractors, trucks, equipment, and misc. 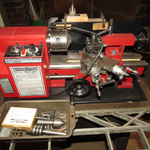 ( Waterford, OH ) by McLeish Auction Svc. Get the Daily Auction Guide. It's a FREE daily e-newsletter with upcoming auctions.